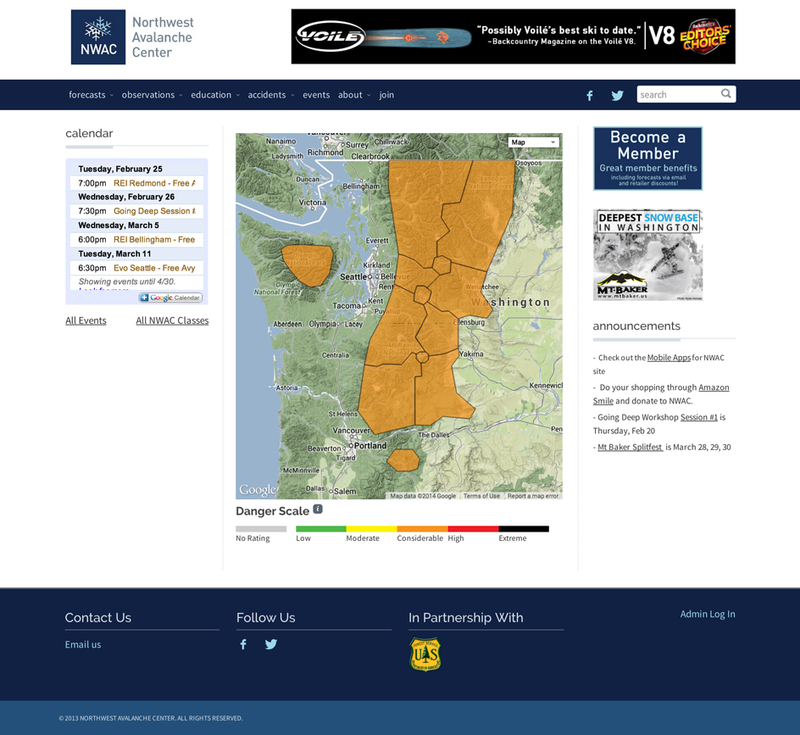 In December 2013 we completed a redesign of the Northwest Avalanche Center's website (http://nwac.us). The site's JSON API integrates with third-party apps and data feeds from USFS weather stations to both present and gather data. The success of this project depended upon managing and visualizing complex data simply, accurately, and efficiently. Forecasters use heavily customized Django Administration pages to create the daily forecasts. Some modifications of note include dynamically generated images, cross-record copy and pasting of fields and many many many page overrides to optimize workflow. The site is responsive, displaying appropriately on mobile phones, tablets and full-size machines. We also have work (nearly completed) that consumes hourly data feeds from several small weather stations around the region. The goal, hopefully attained in the next year as funding and priorities align, is to expose the hourly data to researchers and the interested public via dynamically generated graphs created by HighCharts and exportable Excel files. We have worked with NWAC since early 2011.